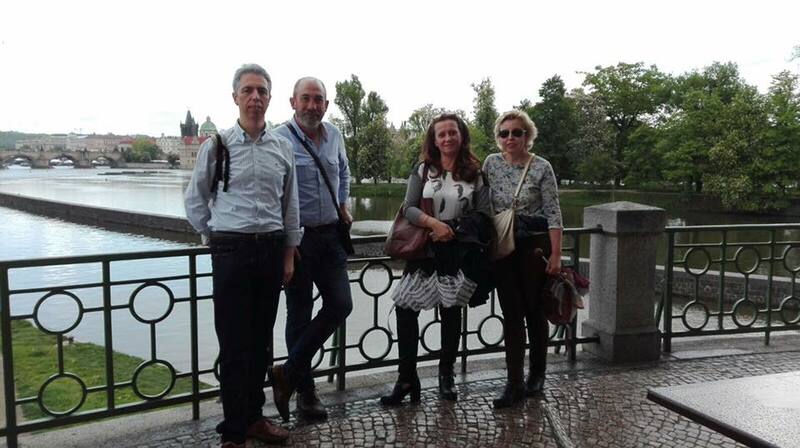 Staff mobility-Job shadowing of 4 Spanish employees took place in Prague from 14th to 19th May, 2017, under the auspices of the European Development Agency s.r.o. (EDUA). During the mobility they had the opportunity to learn about the style of teaching in Czech schools and the functioning of the city council. Mobility was carried out under the ALJARAFE EN EUROPA project. 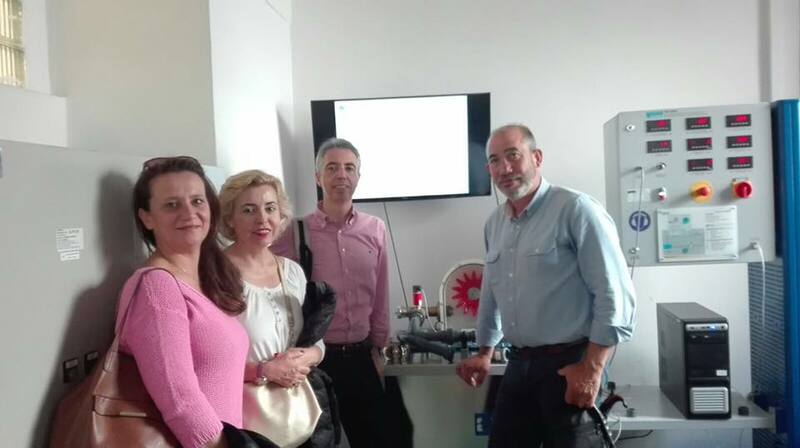 Its main goal was to familiarize teachers Delores and Manuel (teaching in Spanish vocational schools) with the use of ICT tools and other interactive tools at Czech schools. 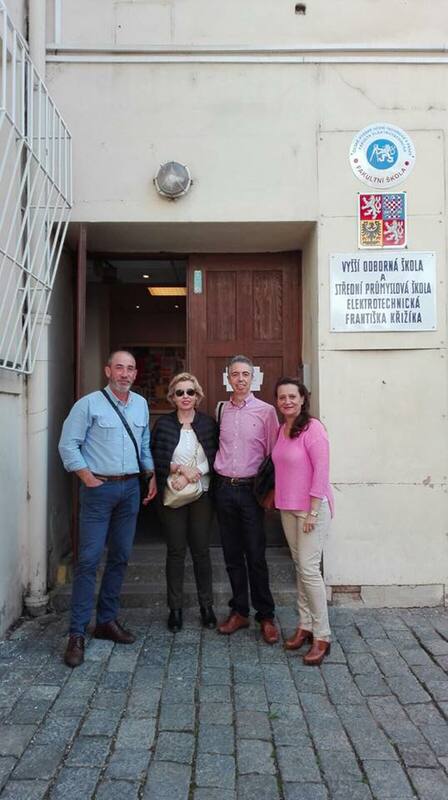 Beside this, for Mercedes and Antonio, from Mancomunidad Aljarafe, was important to understand the principle and functioning of the Czech city authorities and the city council. During their stay, not only they acquired a lot of interesting information from their Job shadowing, but also had the opportunity to see the most important places in Prague. Upon arrival, the participants met with EDUA employees for a welcoming meeting that was followed by a tour of Prague City Hall. The next day in the morning, job shadowing took place at Secondary Technical School of František Křižík where the participants had the opportunity to observe classes of turbines, automation and IT. After lunch there was a tour of the historical center of Prague. Wednesday morning was dedicated to job shadowing at Prague 7 City District, followed by a tour of the Prague 7 district-Stromovka, Letná and Holešovice. On Thursday, job shadowing took place at Primary school K Dolům, where participants got familiar with a magic box ICT tool that is popuar among younger pupils. On Friday, before the departure, the participants were able to manage job shadowing at Fire Rescue Service of the Czech Republic and at Prague Institute of Planning and Development. 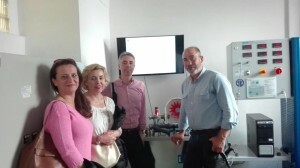 Within this five-day mobility, Spanish employees have become aware of the functioning of Czech schools and the use of interactive tools during lessons as well as the functioning of the city authorities. Due to the very positive attitude of Czech schools and city districts, Spanish staff have taken a number of valuable insights and mobility is considered to be very successful.